When you’re invited to a baby shower, the prospect of giving a gift can be daunting ($$$$), but it doesn’t have to be! You see, you can give the perfect gift ever without having to spend a ton of money — GIVE BOOKS! Reading to baby from the moment they’re born has outstanding benefits not only for their developing brains, but it’s also a great excuse for some parent-child bonding time. 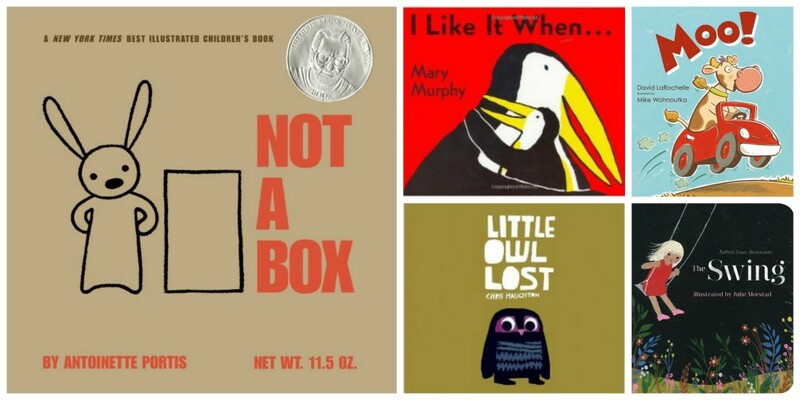 I asked a few librarian friends and the community of youth librarians on Storytime Underground to share their favorite book/books they give at a baby shower and this post is a compilation of their responses. So, whether you’re looking for a book for a baby shower or are starting a library for a wee little one, this list is full of books for babies recommended by the people that live and breathe storytime, preach early literacy, and make it their business to know kids’ books. 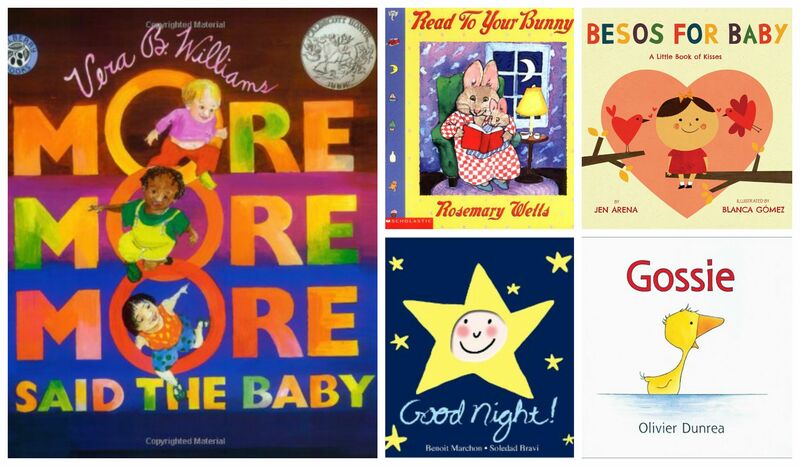 The majority of the books listed are available in a board book format (sturdy, no-rip pages, perfect for baby chewing), which also happens to be less expensive too. If a favorite of yours isn’t on this list, please leave the title in the comments below! 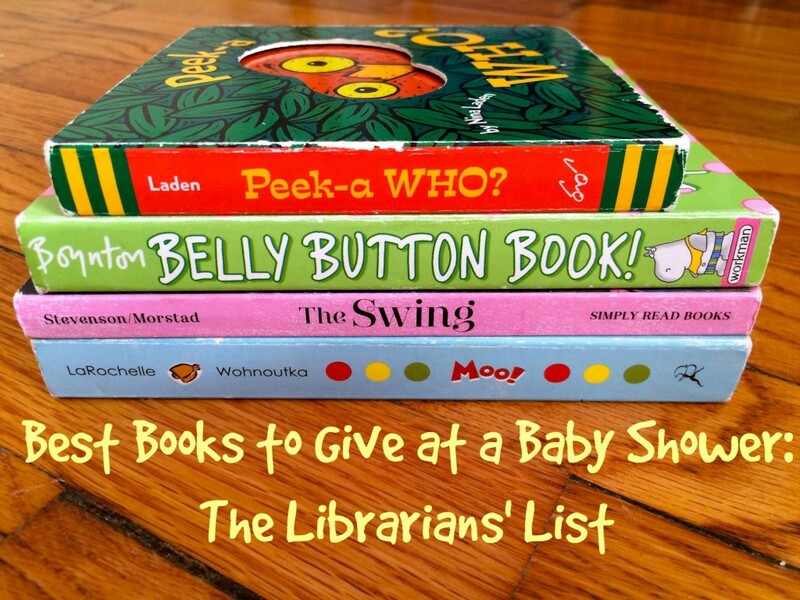 A big thank you to all the librarians that provided suggestions for this list. I hope this baby shower gift guide helps you find the the perfect book for the little one in your life. Happy bookgiving! So many of our favorites on this list! We love giving books as gifts! 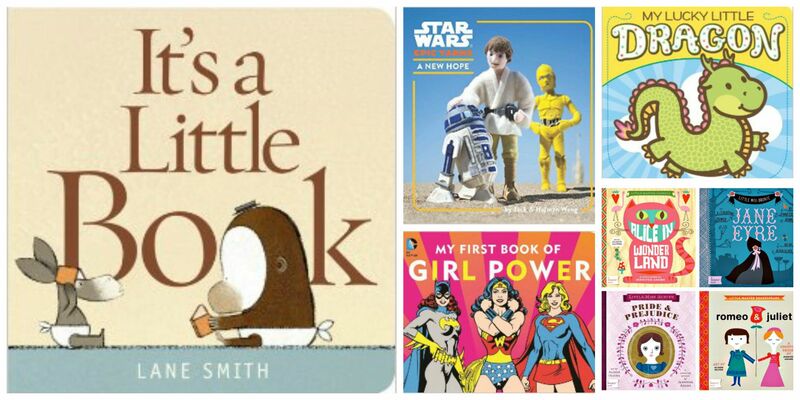 I would add Hippos Go Bezerk by Sandra Boynton and Everywhere Babies by Susan Meyers! Thank you, Danielle! Those are wonderful titles! Sandra Boynton was by far the most mentioned author. I adore EVERYWHERE BABIES, especially Marla Frazee’s illustrations. Such a great book. Thanks again! I LOVE this list! I give books for every baby shower I’m invited too and am always looking for new titles. I love Leslie Patricelli and Sandra Boynton. Thanks for the great suggestions! Thanks Laura! It was fun to compile all the responses. How can you go wrong with Leslie Patricelli or Sandra Boynton? For the win for sure! 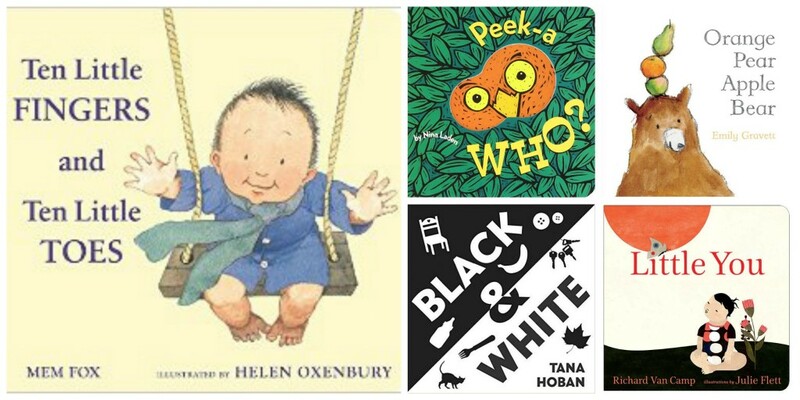 This is a fabulous list and it includes so many books that babies will love! 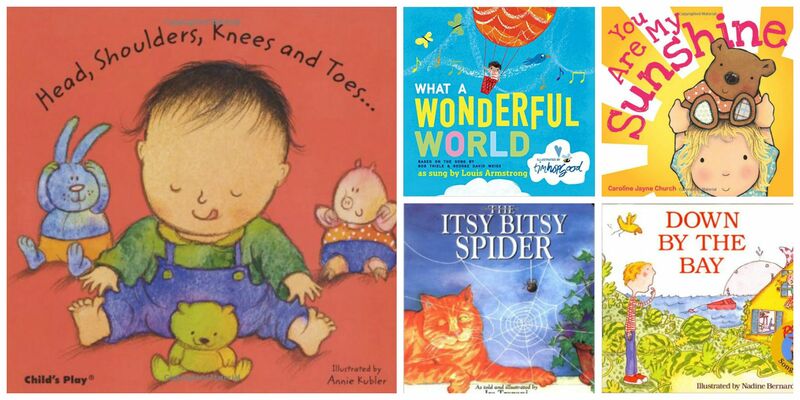 Did you know that the benefits of reading aloud also apply to babies during the last trimester? Of course you did! Establishing a story-time routine before baby is born allows parents to practice reading aloud to a captive audience! Also, reading aloud to babies both before and after birth promotes family bonding, language development and cognitive growth just to name a few of the amazing benefits. This topic will be featured in our upcoming post (Oct. 9) for the Association for Library Service to Children (ALSC) blog and we hope you’ll check it out. We’d also love it if you’d take a look at our own award winning and research supported Belly Books and consider possibly adding it to your list. Belly Books are designed just for an expectant mom to read to her baby during the last trimester and then to her newborn. We have found that families who begin a story-time routine before baby is born tend to continue this practice throughout the child’s early years. We’ve been blogging about the benefits of prenatal story-time for years and we hope you’ll check us out at thereadingwomb.wordpress.com and also belly-books.com. Thanks for all that you do to spread the word about the importance of early literacy! We love your blog! Thank you so much for your note, Susan. I just looked up your blog and am excited to read more this evening after the kids go to sleep. And I will be sure to check out your post on the ALSC blog this October! Thanks again for your kind words! and for Mom Debra Frasier ‘s On The Day You Were Born. A beautiful book for mom and child to share. Thanks for your suggestions, Ros! 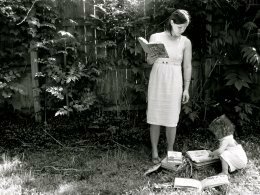 I love this list and at the risk of being totally shamlessly self promoting, I would like to add my own EARLY BIRD board book to the list…again, thanks for the great list! Thanks Toni! I will have to check out EARLY BIRD and your other board books! They look wonderful! !